About half of the items in MAIN's $4 million inventory are "special" or non-cataloged. Reducer flanges are commonly available from stock, at no extra charge. Hundreds of inventoried parts are to "special bolt patterns". The special needed may be an off-the-shelf item for MAIN. When not in stock, our 150 tons of raw carbon and stainless steel in over 230 sizes assures that MAIN can ship the parts before many places can get the steel. Much of the steel is ordered directly from the mill to special "MRR" quality standards superior to standard warehouse quality. This helps assure top quality parts that job shops simply cannot deliver even if made to the same tolerances. In 1999, MAIN moved to the present 48,000-sq.ft. 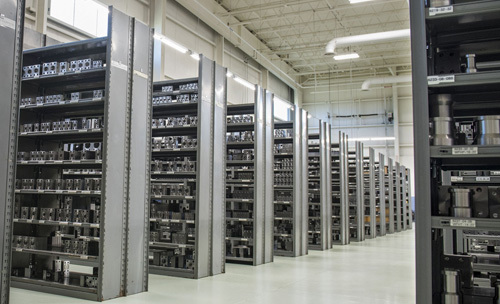 facility designed for manufacturing hydraulic components. 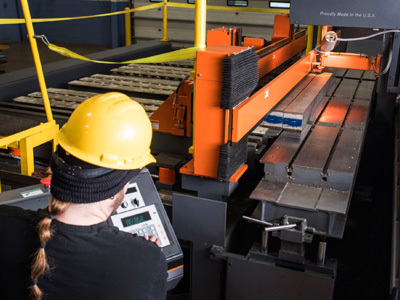 While MAIN's palletized CNC equipment optimizes larger production quantities, our manual machines still allows efficient production of 1-5 pieces. 3 horizontal palletized machining centers, featuring a Doosan HP5500 (2013), a Hyundai-Kia KH63G, and a KIA H40II. 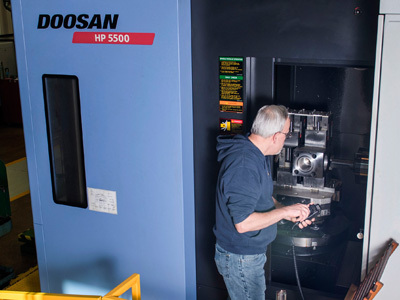 2 vertical machining centers, featuring a Doosan DNM400 and a palletized KIA Hi-Center V50D. 7 CNC chuckers, featuring a Daewoo Puma 240C (2007) and Warner/Swasey and Bardons & Oliver 1SC's and WSC-12's. 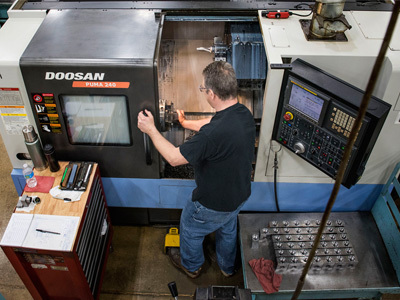 A separate climate controlled quality control room has a coordinate measuring machine, optical comparator, ultrasonic testing machine, and the other thread gages, pin gages, job blocks, and granite tables to help assure quality production. MAIN's quality control was approved to the discontinued Mil-I-45208A.